The last thing I expected to find in a remote, seaside Newfoundland village was authentic Cajun and fusion food. With a summer population of around 250 and a winter population of 170, Grates Cove is just about the smallest town we’ve been to. It’s so small, there are no grocery stores, and just one restaurant. And it specializes in Cajun food. How did this come to be? Terrance and Courtney Howell, owners of Grates Cove Studios, met in South Korea while they were both teaching English. Their courtship largely centered around food, and they travelled together to different parts of South Korea to find new and interesting dishes. After leaving Korea and getting married, they spent time in Courtney’s home state of Louisiana, where they lived through four major storms (including hurricane Katrina) and gave birth to their daughter, Phoenix. Courtney ran a non-profit while Terrance, an artist, produced a body of work related to the hardships of post-Katrina life. Even while living abroad, their goal was always to move back to rural Newfoundland – Terrance’s home province - to start a business that supports the arts. Years after they first met in Korea, they now run an artists’ studio and retreat, promoting the remoteness of Grates Cove as an ideal place for solitude, creative productivity, and of course, Cajun food. Including their own culinary experience was a natural fit for their business, so after they moved to Grates Cove in 2009, they purchased and began renovating an old school house that now houses their restaurant. Diners can peruse local art and eat food that is an extension of Courtney and Terrance’s story. The menu at Grates Cove Studios is eclectic and ever-changing, but often features food influenced by Courtney’s home state and the couples’ travels through Asia. 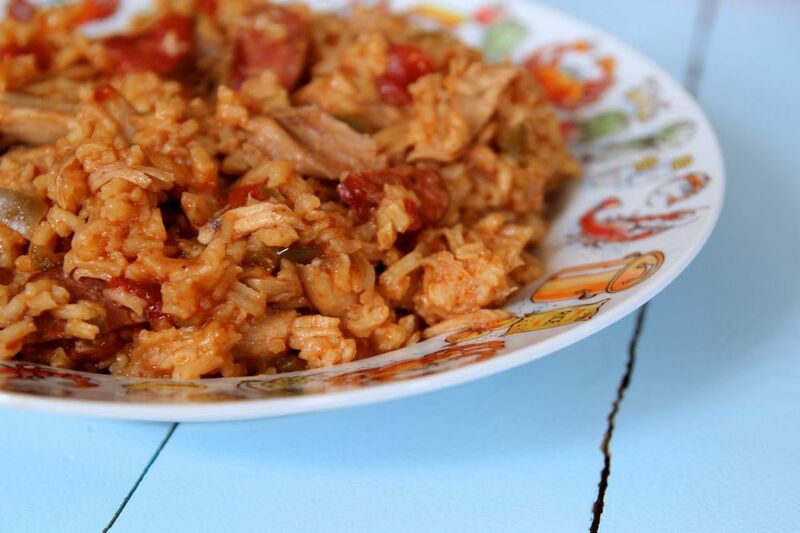 We tried a hearty pea soup, jambalaya with chorizo and chicken, and corn bread. Dishes like cod burgers, nigiri-style local scallops, and etouffee (a Cajun, stew-like dish) with local seafood are examples of the kinds of dishes that can be found on their menu. Next year, Courtney is aiming to incorporate even more Newfoundland flavours into her dishes, like making the jambalaya with moose sausage and partridge meat. After lunch, we explored the town and its surrounding hills. On the northern side, we hiked along cliffs overlooking the ocean in search of the Grates Cove rock walls, which date as far back as 1790, cover approximately 150 acres, and are designated as a National Historic Site of Canada. There are no trees in the area, so the town’s original settlers stacked rocks to form protective walls around pockets of fertile land. The enclosures, protected from wind and natural predators, were used for gardening and keeping livestock. The walls are a rare surviving example of a historic system of land and community organization that is specific to this region in Newfoundland, but has its roots in Ireland, where many of the early settlers of Grates Cove came from. Since many have crumbled or sunk into the earth, they can initially be tough to spot, but once you know what you’re looking for, you’ll literally see them everywhere. We later explored the ‘Big Hill,’ a modest mountain just south of town. We started off on the boardwalk, but Courtney recommended we venture off-path in search of wild blueberries. We didn’t have to look too hard to spot them; there were patches of the tiny berries everywhere. Atop the Big Hill we were met with gorgeous panoramic views of Grates Cove, more winding rock walls, and a close-up look at the recent work of an artist Terrance and Courtney hosted this summer through their residency program. Utilizing local stones, Swedish sculptor Karl Chilcott constructed sculptures around the town and hillside as an homage to the area’s history. The sculptures we saw blended in with the landscape, but also managed to remain distinct. It was amazing to view the remnants of rock walls next to the sculptor’s present-day interpretation, all in one space. Chilcott’s jambalaya-fueled expeditions proved much more productive than ours. He produced a body of work, while we came down the hill with only a small harvest of wild berries (and a much larger harvest hidden in our bellies). You know one thing our day in Grates Cove taught us? When it comes to rural Newfoundland, expect the unexpected.